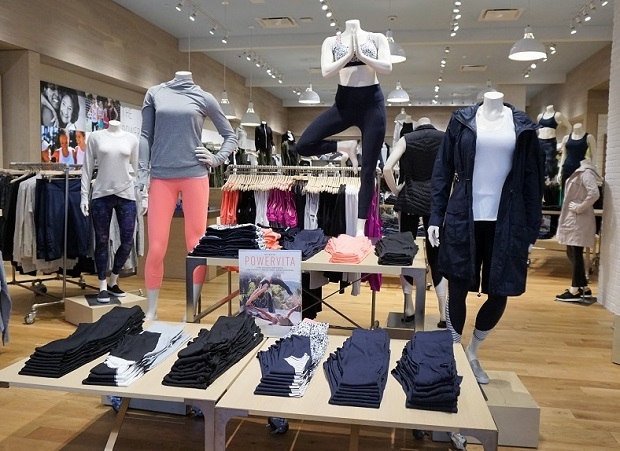 Athleta Topanga offers stylish workout clothes. 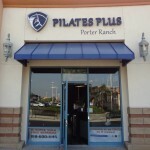 I must confess, I own several Athleta leggings & tanks – it’s basically my go-to fitness clothing brand! Athleta’s “Power of She” campaign, which is an empowering message for women, really resonates with me. 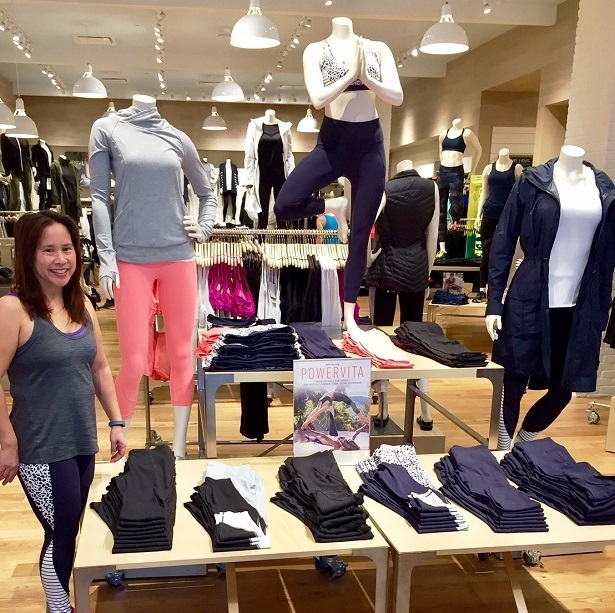 Athleta also offers free community exercise classes in all of their stores. Earlier this month, I attended an Acroyoga class taught by Amilia Brady (Athleta Brand Ambassador & Yoga Instructor). I had never taken an Acroyoga class before (much less heard of it), so I was really intrigued & excited about taking Amilia’s class. 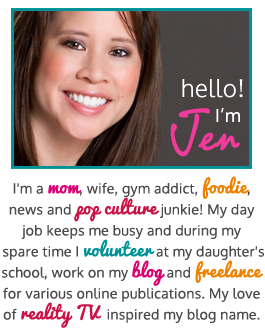 Amilia is not only a yoga instructor but also a wellness advocate & dōTERRA consultant. In fact, when you take Amilia’s yoga classes at Athleta, she will spray the room with dōTERRA oils using a diffuser. It helps the attendees feel more relaxed and/or energized, depending on what type of oil she uses. Jen (Real Mom of SFV) with Amilia. Amilia in the orange crop top doing a “flying” yoga pose! Acroyoga fuses yoga with acrobatics – think Cirque du Soleil mixed with Vinyasa Flow. I quickly paired up with a partner, who had never done this type of yoga class either. Everyone else seemed to have shown up to class with a hubby, boyfriend or a close girlfriend. It was interesting & amazing what acroyoga positions I was able to do. I say “amazing” because this was a total stranger holding me up! It’s like asking someone you just met to do a “trust fall” with you. 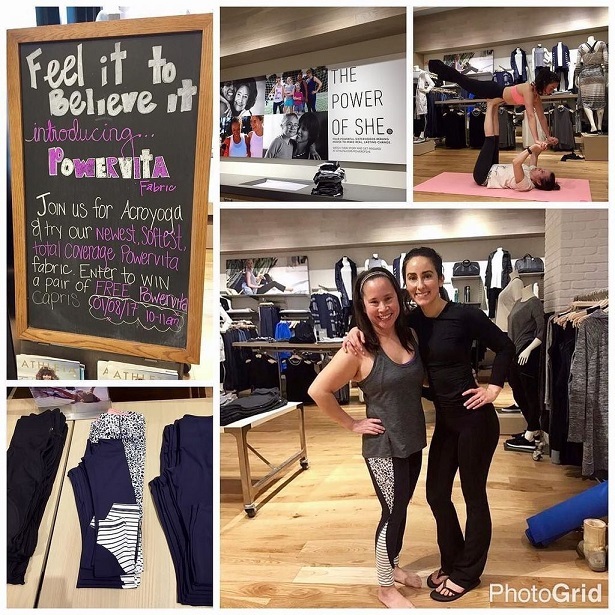 Prior to taking the Acroyoga class, I met with an Athleta stylist who showed me different Powervita leggings. 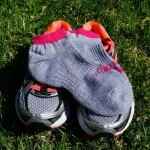 Athleta Powervita is a brand new product line that is super soft & has lightweight compression. When I put them on, I couldn’t believe how flattering the seamlines were on my (short) legs. Plus the high-rise coverage kept my “mommy tummy” in place! For more information on Athleta, visit their website here. 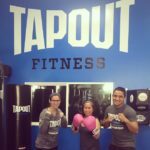 Also you’ll want to follow Athleta Topanga on Twitter to get the latest updates on free community classes! Disclosure: I received a complimentary pair of Powervita leggings which helped facilitate this review. 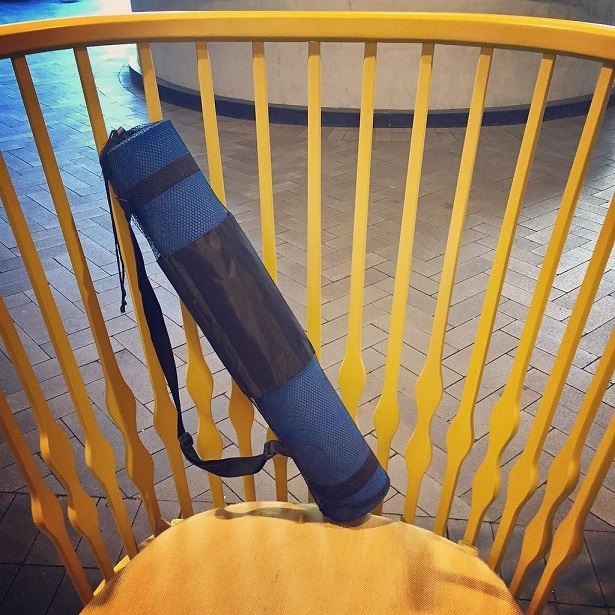 I attended a free community yoga class & although a post was not required, I wanted to share my experience. All images & opinions are 100% my own. 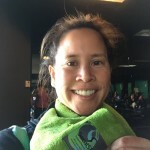 SweatSTR – A Scarf & Towel Reinvented! 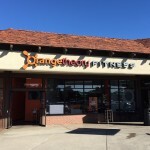 Getting Fit at Orangetheory Fitness Santa Clarita! I ADORE Athleta!! I just wish their clothing were cheaper! 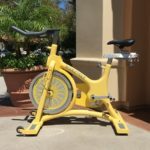 If there is ever a MASSIVE sale – I AM THERE! !